Old Harper House01263 715779work01603 870304fax Self-cateringThis beautiful town house is situated in the midst of the quaint market town known as Aylsham. Fitted with modern utilities, furnishings and comfortable furniture, this property provides relaxing accommodation whilst being superbly located allowing guests to make the most of the Norfolk countryside. 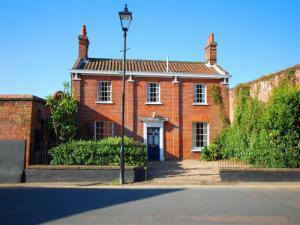 This beautiful town house is situated in the midst of the quaint market town known as Aylsham. Fitted with modern utilities, furnishings and comfortable furniture, this property provides relaxing accommodation whilst being superbly located allowing guests to make the most of the Norfolk countryside.